When warm summer days come knocking at our door, we all know it is time to start thinking about cooling options for our homes. Air conditioning units are always a safe choice since we know they are going to cool down our room and make it nice and comfortable. Bad side to them is high electricity spending and also possible negative effects on our health. This last, of course, only if we don’t use them properly. 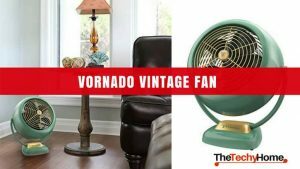 Vornado fans are another option we can think about. These fans come in various sizes and can have various strength. Their power varies on the strength of the engine but also other features included. Today we are going to see the good and the bad sides of a Vornado fan duo tower. We will discuss its features and help you decide whether this fan is the right choice for you or not. Before we get to the characteristics, let us see the price range of this handy device. On Amazon.com this product is valued at 42$ which is a great price for a fan like this one. Some similar fans can really be expensive, especially if they have the features which this one has. Luckily, this tower Vornado fan is not that steamy when it comes to price so it fits almost anyone’s income. Later you will see that you are getting a great product for such a reasonable price. This small Vornado tower fan allows the air to circulate more efficiently because it has a V-Flow circulation system. This system is a novelty that allows the air in the room to move around faster and more efficiently, so that the amount of time between the turning on the fan and cooling the room down is shortened. The fan itself has one button and with it you can adjust the speed and turn on/off the fan. Vornado tower Fan comes in black color and there are four speeds to choose from. This allow you to adjust the flow of air into the tower or in a low profile position to get more versatility. The V-flow technology allows the air to spread from the lowest point and spread out around the room. This creates a wider spread of air in the room and there is no need for oscillation. Air keeps moving across the room and all you are get is an enjoyable atmosphere in the room. 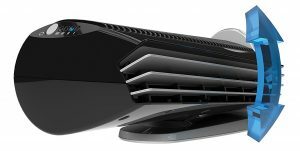 As a downside to this, some might mention the fact that V-style airflow doesn’t cover as much area as the regular fan does, but this is not true. However, if you are a fan of regular shaped fan heads this one is definitely not for you. 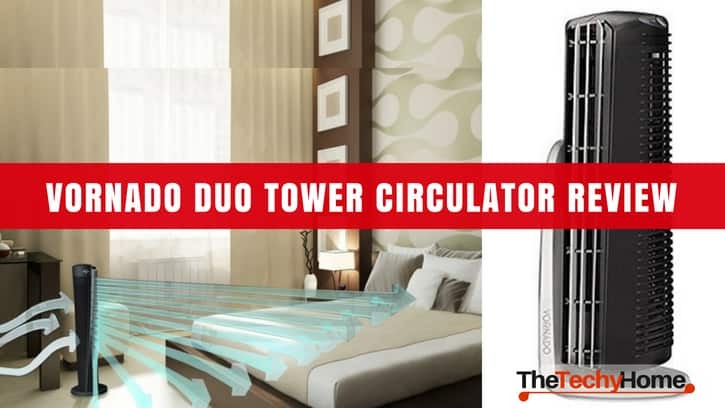 Like we already mentioned, this Vornado duo tower circulator comes in black color. The design is modern so it can fit almost any contemporary style without standing out too much in contemporary homes. If you have a more rustic home appeal, then you might seek something less modern and more vintage to fit inside your living space. One button setting is a plus for some but also a minus for others. Having just one button means that if this button is broken, the entire fan is no longer in function. Also, some like the practicality of having each option on a single button so that is a thing to think about. On the other side, one button system is much more practical to others, since it allows them to select the speed in no time. Assembling is not required for this model, so you don’t have to worry about messy plans and putting together pieces. Batteries are also not required for this model which makes it even better choice. The engine on this powerful Vornado duo tower circulator is strong enough to circulate air around the room at a high speed. This Vornado tower fan can easily cool down a room of around 50 feet which is a great power compared to its size. You even get a 5 year warranty for this Vornado tower fan in case something goes wrong. 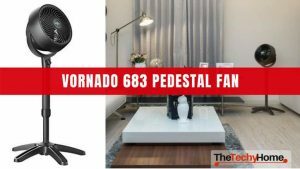 Pros – Pros of this Vornado tower fan are the great price and features you are getting with this price. Another great thing is that assembly is not required. Cons – Cons of this Vornado tower circulator are the power of engine to cover only 50 feet so if you need a stronger fan this one won’t be enough for larger spaces. It doesn’t cool the warm air so it only circulates the already cool air. 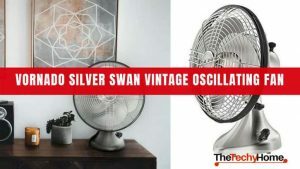 Overall, when we compare the price and the quality you are getting we can safely say that this fan is really great option. 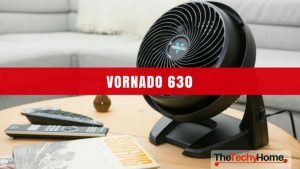 It fits almost anyone’s budget and you won’t get a headache from spending money on this Vornado tower fan. Some might find it bad because it doesn’t have several buttons, but getting used to this system is easy. 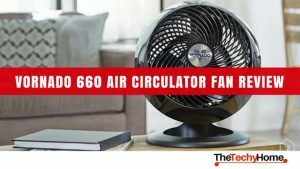 Unlike regular tower fans where the air goes in one direction, this fan uses the V-flow system that moves air almost as a spiral which makes the air move much easier through the room. Engine on this model is pretty strong but if you have a space larger than 50 feet this Vornado tower fan won’t be strong enough. Another bad thing about this Vornado tower fan is that it doesn’t cool the air down only spins the already cold air around the room. This can be a bad thing if you want something that is going to cool down the air in your home. 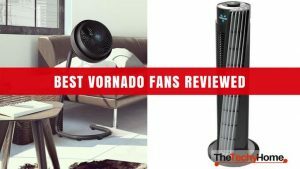 Hopefully this review was helpful and it made your decision much easier if you were thinking about buying this Vornado tower circulator.